Aurora Expeditions is one of the true pioneers of adventure travel and expedition cruising in the Australian marketplace. Over more than two decades, the company has been among the first to introduce travellers to a number of remote destinations. Founded by mountaineer Greg Mortimer and partner Margaret Werner in 1991, Aurora was sold in 2008 and the new owners have remained true to the original expedition ethos. 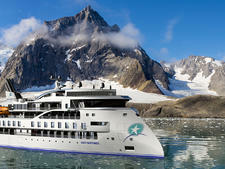 Initially offering small group voyages to Antarctica, the company has since operated expeditions in East Greenland, Norway's Svalbard Islands, the Amazon River, Papua New Guinea, and Russia's Far East. In 2014 it started cruising in Alaska's Inside Passage, as well as launching a land, river and sea expedition in Ecuador. In 2015 the line completed its first Africa expedition featuring a luxury safari cruise along Botswana's Chobe River. 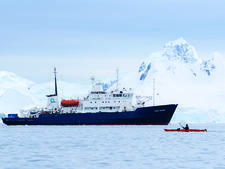 Aurora Expeditions was the first Australian member of the International Association of Antarctic Tour Operators (IAATO) and a founding member of the Arctic Expedition Cruise Operators (AECO). For polar operations, it uses the ice-strengthened Polar Pioneer. Aurora's style of cruising is in the flavour of the traditional expedition. The emphasis is on exploring remote destinations with flexible, innovative itineraries, daily shore excursions, and creating enrichment through educative talks and lectures by a team of expert guides. Some of the additional activities include sea kayaking, ice camping, scuba diving, polar snorkelling, photography and mountaineering. Polar Pioneer enjoys a reputation for reliability, sturdiness and an inclusive atmosphere where passengers dine in a communal atmosphere at bench tables. Cabins vary from shared 'public' twins and triple shares, to private twins and a couple of mini-suites and a captain's (owner's) suite. Aurora Expeditions' style of cruising is in the flavour of the traditional expedition. Their emphasis is exploring remote destinations with flexible, innovative itineraries, daily shore excursions, and creating enrichment through educative talks and lectures from their team of expert guides. Aurora Expeditions offers a range of additional activities including, sea kayaking, ice camping, scuba diving, polar snorkelling, photography and mountaineering. The vast majority of Aurora Expeditions' passengers are Australians, with a good mix of other nationalities, usually coming from New Zealand, United Kingdom, Europe and the United States. Typically, passengers share a common sense of adventure and love of nature and the outdoors, allowing the small group to feel like family by the end of the voyage. The itineraries and shore programs attract a wide age range of travellers, comprising both solos and couples, many of whom are multiple repeat cruisers. Apart from the company's flagship, Polar Pioneer, Aurora works with like-minded operators around the world on charter and part-charter arrangements that enables it to deliver its signature style of travel in other key expedition cruise locations. This diverse fleet currently includes Coral Expeditions I on the Kimberley Coast and Isabela II in the Galapagos.